Hello everyone, how are you? You can now download Pathfinder: Kingmaker on Ubuntu and a big thanks to the developers and publishers, Owlcat Games and Deep Silver. This game was highly anticipated and for many good reasons, we will cover some in this short article. Today we highlight some reasons why you should give Pathfinder: Kingmaker a chance on your Linux OS via Steam/Steam Play. The game currently has a ‘mixed’ reviews rating but that is mostly do to some bugs that the developers are working to fix as we type, I fully expect the rating to shoot right up in the coming weeks. 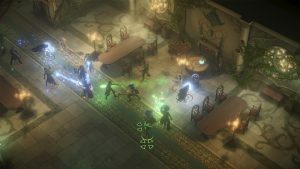 Pathfinder: Kingmaker is a fantasy RPG that will have you playing it for many hours. I have been playing this game for the past 3-4 days and I personally love it so far, I am averaging about 5 hours a week on this game which is a lot for me as right now I mostly gaming on my PS4 rather than my PC. Let’s find out what else makes this game worth your time. 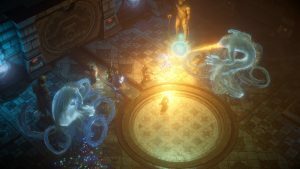 What Is Pathfinder: Kingmaker About? 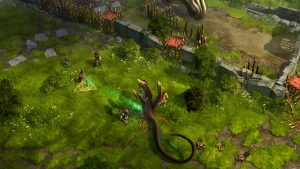 Pathfinder: Kingmaker allows you to explore and conquer the Stolen Lands and make them your kingdom. Have fun exploring the stolen lands, a region that has been contested territory for centuries. 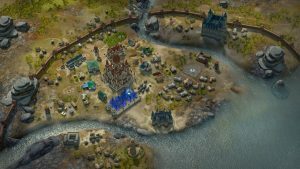 Hundreds of kingdoms have risen and fallen in these lands, and now it is time for you to make your mark by building your own kingdom! To do so, you’ll need to survive the harsh wilderness and the threat of rival nations as well as threats within your own court. Conquer new regions as claim them as your own, carving your kingdom from the wilderness. While classic dungeon crawling and exploration lie at the heart of this adventure, diplomacy, politics, and kingdom development are also part of the challenge. Choose your allies well, and keep them close while exploring ancient tombs and ruins and while dealing with politics in your own court. Your kingdom is a reflection of your character and your choices throughout the game. It is a living thing shaped by your alignment, your allies, and your ability to lead your people. Not only can your kingdom expand, opening up new territories and allowing you to build new towns and communities, but your capital city will physically change based on your decisions, your policies, and even whom you choose to ally with. As your kingdom grows, a number of factions and neighboring countries will come to you to seek favor and to test your strength.